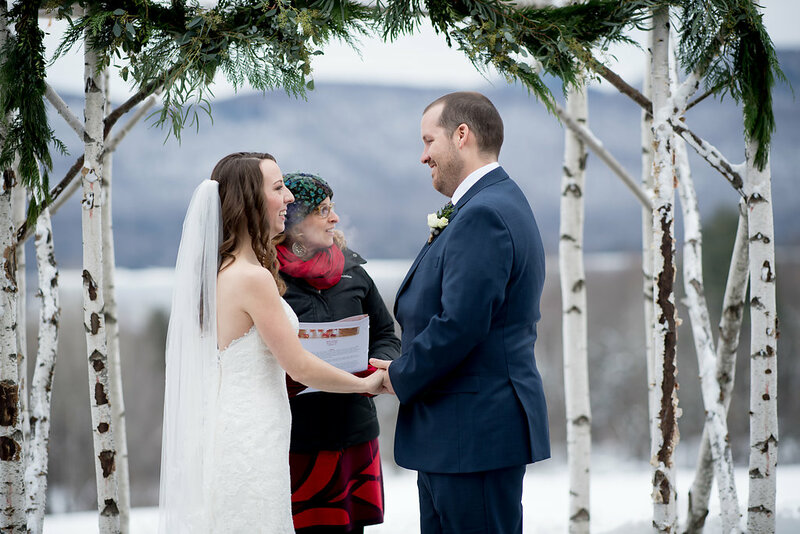 We are so happy we chose Kathryn to be our officiant. We are both non-religious and wanted our wedding ceremony to be beautiful without being religious, which can be hard to find. We chose Kathryn’s pre-written ceremony which we loved so much we didn’t decide to do anything customized. 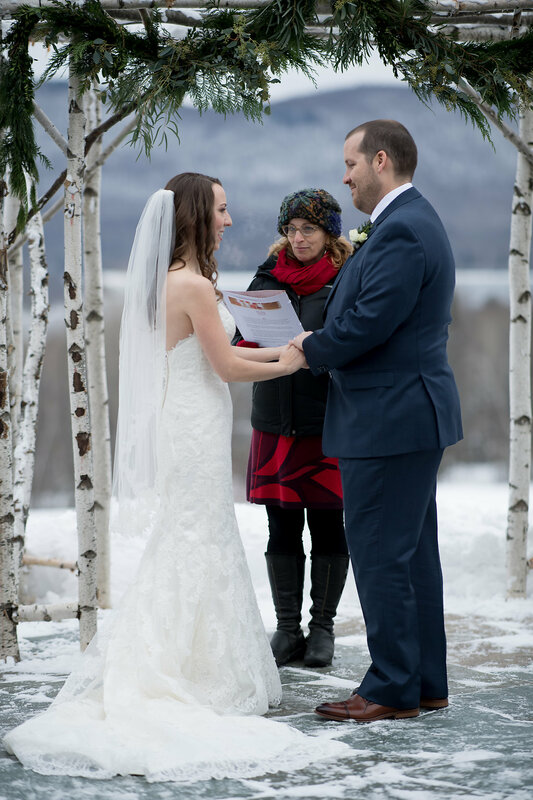 It was beautiful and short which we needed as our ceremony was outside in December. Many of our guests commented on how moving her words were and how wonderfully she delivered them. She has a very warm presence, and Patrick was grateful for her company to help calm his nerves as he waited at the alter when there was a bit of a delay getting things started. She also gave us a nicely printed personalized copy of the ceremony to keep, which we absolutely love. We couldn’t be happier we chose Kathryn to officiate our wedding. I honestly don’t know how she did it. This entry was posted in Funny Wedding Stories, Marital Miscellany, Weddings by Kathryn. Bookmark the permalink.